How Much are Xcaret Tickets? How Much are Xel Ha Tickets? Still Can’t decide between Xel Ha and Xcaret? Both theme parks are beautifully set in the middle of Yucatan nature. They both offer a full day of relaxation, food and fun in Riviera Maya. And both parks are located an easy day trip from Cancun or Playa del Carmen. But, they are definitely different experiences, each with its own theme and special qualities. So, Xel Ha or Xcaret, which one will appeal most to you? Here’s an overview of both parks. Xcaret (Esh-ka-ret) Park, Mexico was the first-born of the Experiencias Xcaret family and is probably the most diverse. If the aim is to give a taste of everything the Yucatan Peninsula of Mexico has to offer then they have absolutely succeeded. Every bit of this 200-acre park is full of wonderful things to do and it manages to be fun and educational all at once. It’s like a massive, educational playground! Xcaret hours are from 8:30 am to 10:30 pm and ideally you should plan to be there open to close. There’s that much to see and do. Mexican and Mayan culture and history are a big focus at Xcaret. You can learn all about it with interactive exhibits such as the Hacienda Henequenera, the Archaeological Sites and the replica of a Mayan Village. Also, though activities and shows like the amazing Voladores, the Sacred Mayan Journey and Pre-Historic Dances. Native Wildlife plays a big role in this Mexican eco-park and you could spend the whole day just immersing yourself in that. There is a Butterfly Pavilion, an Aviary, a Coral Reef Aquarium as well as jaguars, turtles, manatees, flamingos, monkeys and much more. If you’re a nature lover then you will be in heaven. You can spend hours walking the Tropical Jungle Trails, exploring the Orchid Museum and just taking in the native flora and fauna all around you. You love the water? There’s plenty of water based activities to keep you cool and refreshed. Snorkel or float along the Underground Rivers, take a boat ride down Paradise River, try out Snuba or play on the beaches of the Aquatic Paradise. There are plenty of restaurants and bars scattered throughout the park so you will never go hungry or thirsty. You even have your choice of eating inside a full service restaurant or buffet or sitting on the beach under a palapa with some tacos and margeritas. You’re bound to need a rest at some point and you will find beach loungers, chairs and hammocks all over Xcaret. Just be sure not to lounge too long and miss all the fun. The grand finale at the end of an exciting day is the Xcaret Mexico Espectacular. This incredible show, with more than 300 talented performers, takes you on a journey through Mexico’s history using light, color, music, dance and theatrics. You may be tired after a full day of activities but this show will bring you back to life and it should definitely not be missed. Tip: If you decide on Xcaret theme park you really should do some planning before you go as there is so much to see and do. We have written a very detailed Xcaret review including several different itineraries based on what you like to do which should help you make the most of your day. Tip: The best place to buy Xcaret tickets is online. Click on the link below to book online and receive Xcaret Park discount tickets at up to 15% off. There may also be a further discount for advance booking of more than 7 days and an even bigger discount if over 21 days. It definitely pays to plan ahead! Xel Ha (Shell-ha) means “The place where the water in born” in Mayan which is very fitting. This beautiful natural aquarium sits amid jungle trails and pockets of native flora and fauna making an absolute paradise for the sea life and nature lover. It was one of the first parks in the world to focus on sustainable tourism development and received the important Earth Check certification in 2009. Today it is home to over 90 marine species and hundreds of species of birds and plants. But there’s also plenty of fun to be had! Xel Ha is all about the crystal clear, turquoise water and the amazing sea life that can be found below the surface. Snorkel gear and life vests are included and you will find yourself floating for hours through the network of rivers and sea in awe of the beauty below. If you somehow tire of snorkeling you can explore the underwater caves, cenotes and mangroves by floating on double inner tubes. You’ll also find plenty of places warm rocks, grottos and coves to linger and take a break. If you want more excitement check out the Zip-lines, the Cliff of Courage, the Scenic Lighthouse Waterslide or test your balance and skills on the Trepachanga. You will find plenty of places to relax in chairs and hammocks around the park. Xel Ha eco park is all-inclusive. This means that all your food, drinks and activities (other than optional activities) are included in the standard Xel Ha admission price. Tip: If you decide on Xel Ha eco-park it’s a good idea to take some time to plan your day ahead of time. We have written a very detailed Xel Ha review including several different itineraries you can follow which should help you make the most of your day. Xel Ha Discount Tickets: Kids (age 5-11) are 50% off, Kids (under 4) are Free! Tip: The best place to buy Xel Ha tickets is online. Click on the link below to book and receive Xel Ha Park tickets at up to 15% off. There may also be a further discount for advance booking of more than 7 days and an even bigger discount if over 21 days. This is not always offered so check when you book. Getting to either park varies slightly in both time and cost depending on where you are staying. Xcaret is closer to Cancun and Playa del Carmen. Xel Ha is closer to Tulum. Taxi is really only an affordable option from Tulum to Xel Ha or Playa del Carmen to Xcaret. Any other routes would be $80-$100 USD one way. 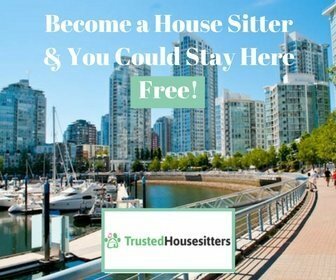 If you have it’s a straight forward drive and parking is free. Both parks are awesome but there is definitely a difference between Xel Ha and Xcaret as we hopefully have shown. Xcaret is slightly more expensive, especially once you add in the food and drink costs. However, the park is open longer and there is a much bigger variety of things to do. The Xcaret Mexico Espectacular show is almost worth the price of admission itself. If you want to learn more about the history and culture of Mexico and like to have lots of options for activities then Xcaret may be your preference. Xel Ha is all-inclusive which makes it more affordable overall and it’s always nice to be able to eat and drink what and when you want without worrying about cost. If you love nature, marine life, snorkeling and other water activities and want to have more relaxation time in paradise then Xel Ha may be the park for you. If you have the time and money then do both parks! They really are different enough experiences that you would not find them repetitive at all. If you decide to go to both parks you can get a discounted combo price through the link below. At the risk of making the decision even more difficult there are more Xperiencias Xcaret parks in the Riviera Maya of Mexico. 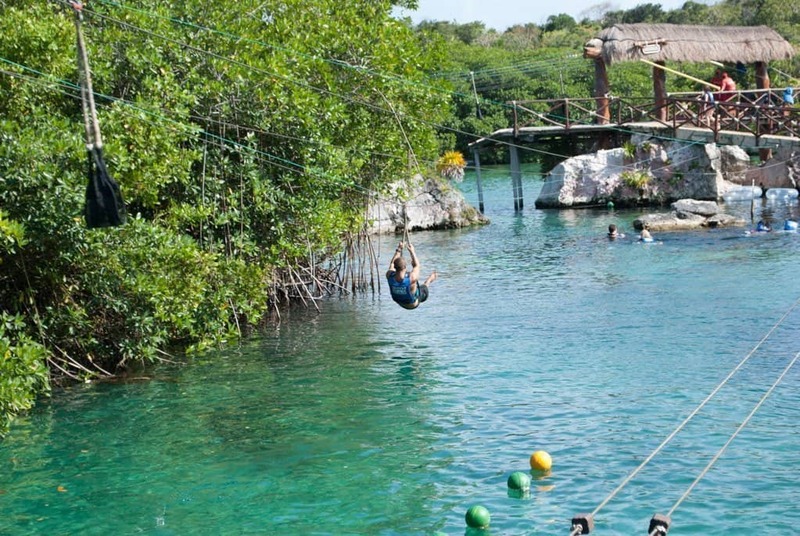 If you love adventure and adrenaline pumping activities take a look at Xplor. Take a journey of the senses with Xenses or visit mystical cenotes with Xenotes. Disclaimer: This post contains affiliate links meaning that if you choose to purchase through one of these links we may receive a small commission at no additional cost to you. This is one small way that we earn an income which allows us to keep this site running. We are grateful for your support.